As climate change practitioners, it is critical that we address equity and climate justice while working in partnership with frontline communities. A legacy of social, economic, and institutional disparities have left the people marginalized and under-resourced communities more vulnerable to the impacts of climate change, which include people of color, low-income communities and households, renters, immigrants, people facing language barriers, people with lower rates of education, outdoor and migrant workers, and people with health conditions and disabilities. To ensure that we work towards a resilient future that serves all Californians, we have made equity and climate justice a key component of the adaptation conversation at this year’s Forum. According to Independent Sector, equity is the fair treatment, access, opportunity, and advancement for all people. Equity strives to identify and eliminate barriers that have prevented the full participation of underprivileged people and communities. Improving equity involves increasing justice and fairness within the procedures and processes of institutions or systems, as well as in their distribution of resources. Tackling equity issues requires an understanding of the root causes of outcome disparities within our society. With plans to turn conversation into meaningful action, over 100 officials from the Sacramento region convened last week in Del Paso Heights to begin talks about the impact of trauma in the community. Local experts discussed the effective, meaningful work that can be done to process trauma of various forms. The deadly global heatwave has made it impossible to ignore: in cities worldwide, we are now divided into the cool haves and the hot have-nots. The Environmental Justice movement has demonstrated that, throughout history, the effects of pollution have disproportionately impacted the health of our most vulnerable communities: people of color, indigenous peoples, and low-income communities across the nation. This movement emerged in the 1960s during the Civil Rights Movement when impacted communities sought to address the inequities of environmental protection that had long affected the health, safety, and well-being of their families and communities. 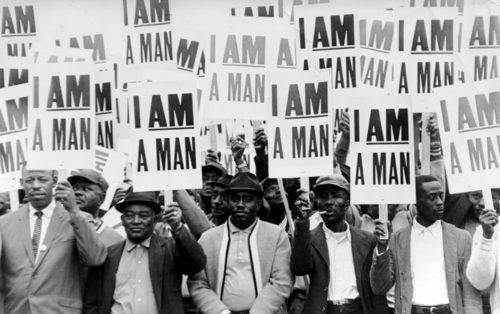 In 1968, a group of 1,300 African American men from the Memphis Department of Public Works mobilized to speak out against the years of neglect and abuse of black sanitation employees by the City of Memphis. The men on strike demanded better safety standards and fair wages. 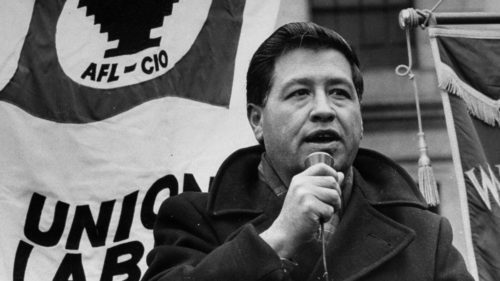 Not only was this historic strike one of the most notable struggles of the civil rights and labor movement, it also gave rise to activism in the emerging environmental justice movement to fight against decades of systemic injustice. In 1982, news that the State of North Carolina was planning to dump hazardous waste in a landfill in Warren County, a disadvantaged and primarily African American community, African American residents came together to seek social justice and environmental protection through a nonviolent sit-in. This protest garnered widespread attention and gave prominence to the need for protection of the people in addition to protection of the natural environment. The Warren County sit-in also prompted the United States General Accounting Office (GAO) to conduct a study that revealed the disproportionate placement of hazardous waste landfills near disadvantaged communities and communities of color. Valley to fight for workplace rights in the pesticide and fertilizer industry. This commitment led to further scientific research and public information on the harmful effects of pesticides. Latino communities, who tend to be particularly vulnerable to air pollution and extreme weather due to where they live, work, and their limited access to health care, continue to fight against social and environmental injustices that add to existing health and economic disparities. Delegates to the First National People of Color Environmental Leadership Summit drafted and adopted 17 principles of Environmental Justice in 1991 that have since served as the defining standards for the growing grassroots movement for environmental justice. 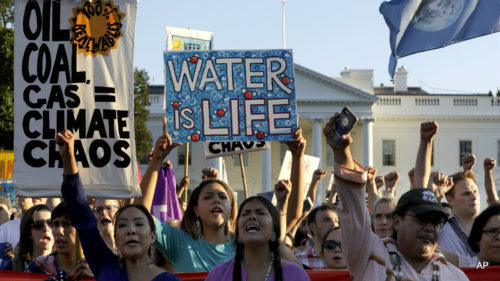 People of color, indigenous communities, and low-income communities have all continued to champion this movement in an ongoing fight against the visceral impacts of polluted environments across the U.S. In more recent years, climate justice emerged from the intersection of grassroots activism of the environmental justice movement and the fundamental need to support vulnerable communities who had been suffering the worst impacts of climate change due to decades of neglect and impoverished conditions. This movement called on climate leaders developing and funding climate policy to ensure that frontline communities were not left behind. At the first Climate Justice Summit in 2000, ten principles of climate justice were developed that focused on slowing down greenhouse gas emissions, protecting vulnerable communities, ensuring a just transition to renewable energy, and a call for the United States and other nations to take the lead in solving the problems of climate change. Frontline communities who face threats to their health and security continue to suffer from and fight against the most severe impacts of climate change. In 2005, the powerful torrents of Hurricane Katrina caused catastrophic flooding and destruction of coastal communities in New Orleans due to failures of critical levees and floodwalls in the region. With severely limited resources and mobility to begin with, the homeless, low-income, sick, and elderly individuals living in these communities were left stranded with little to no provisions to evacuate or recover from this catastrophe. Years later, residents of these communities and social and climate justice activists continue to protest the lack of funding and focus on communities struggling to recover. Tribal and indigenous people have also long been an integral part of the climate justice movement and continue to fight against chronic social and environmental inequities in the areas of public health, sacred resources and cultural landmarks, traditional knowledge, and more. In November 2016, for example, the Standing Rock Sioux and Cheyenne River Sioux tribes gathered at the Missouri River crossing north of the Standing Rock Sioux Reservation to protest the route of a $3.8 billion crude oil pipeline that would run under Lake Oahe, a primary water source for the reservation. The tribes also expressed concern that the pipeline’s construction would threaten sacred burial grounds in the area. Despite powerful opposition, construction of the Dakota Access pipeline was approved by U.S. Army Corps of Engineers and a federal judge later ruled that the pipeline would continue to operate. These decisions encouraged local activists to more aggressively pursue energy independence with renewable energy. Not only are livelihoods of inland tribal and indigenous communities under threat, coastal communities are also threatened by the ever worsening impacts of climate change as they are forced to leave behind sacred sites and uproot their communities due to eroding coastlines, flooding, and extreme weather. In 2017, an analysis by the Center for Progressive Reform revealed that 17 U.S. communities, most of which are Native Americans and Alaska Natives, are in the process of relocating to higher grounds where they would be less vulnerable to the impacts of coastal climate disruptions. Frontline communities are leading the fight against inequities that stem from a decades-long system of injustice and disinvestment that, as stated by the Climate Justice Working Group (CJGW), have left people with “unsafe, unhealthy neighborhoods and limited access to quality education, public services, and economic opportunities.” This is precisely why the climate justice movement calls on leaders to recognize and engage frontline communities and to include them in the decision-making process when it comes to climate policy and funding decisions. Climate resilience can be defined as the capacity of a socio-ecological system to absorb stresses and maintain function in the face of external stresses imposed upon it by climate change or the climate’s ability to adapt, reorganize, and evolve into more desirable configurations that improve the sustainability of a system, leaving it better prepared for future climate change impacts. When climate resilience was initially recognized in the 1960s, scientists believed that the environment worked to recreate its original state after encountering any stressors. This idea was held true until the early 1990s when practitioners realized that with every environmental stress, the climate was adjusting towards a new equilibrium. With ever-changing circumstances, communities must adapt their ways of living to the changing climate. Community resilience can be defined as a “community’s ability to reduce exposure to, prepare for, cope with, recover better from, adapt and transform as needed to the direct and indirect effects of climate change, where these can be both shocks and stresses.” It is a measure of the sustained ability of a community to utilize available resources to respond to, withstand, and recover from adverse situations. Most examples of community resilience in local governments emphasize emergency planning and the community’s role in relation to other institutions or how communities’ actions can adjust to the changing climate through mitigation behavior (e.g. less energy or water consumption). Community resilience can also be better measured from the bottom than the top: the more we can protect and increase access for frontline communities, the more we can improve everyone else’s well being. Harvard’s Implicit Association Test (IAT) can help us as individuals learn more about our own implicit biases. The IAT measures the strength of associations between concepts and evaluations or stereotypes. The main idea is that making a response is easier when closely related items share the same response key. University of California, San Francisco has included a list of resources on their website to learn more about unconscious bias. This study addresses a need to examine the attitudes of mental health professionals towards those they treat (Wahl & Aroesty-Cohen, 2010) and the impact of those attitudes on treatment. Explicit and implicit attitudes of Assertive Community Treatment (ACT )practitioners in this study were positive toward individuals with mental illness. To understand why there is often a contradiction between people’s explicit and implicit beliefs, the National Association of State Mental Health Program Directors dig deeper into what is implicit bias and how it interacts with explicit beliefs, behaviors, and actions. The fifth edition of the annual State of the Science: Implicit Bias Review comes at a very important time. More than ever, Kirwan and our partners in equity work can see the importance of how we shape the narrative of race and equity in this country. For the last five years, the State of the Science has been one of the ways that we have been able to add depth to this often one-sided narrative, by pointing to the complex underpinnings of how peoples’ conception of race influences our perceptions, thoughts, and relationships. Telling Our Own Story: The Role of Narrative in Racial Healing provides an important resource for leaders and practitioners working to overcome our nation’s legacy of racism. The authors present the emerging science of the power of narrative and do so within the context of efforts by diverse communities to find effective ways of communicating and creating new, authentic stories that honor the complexity of the past while forging a more equitable future. This section of Safeguarding California serves as a reference for public agency staff, community leaders, and philanthropic partners to understand how equity is woven through the plan, collaborate with state agencies on initiatives, create accountability, and illuminate the areas where further immediate attention is needed. As evidence emerges on the impacts of climate change on human health and well-being, the Office of Environmental Health Hazard Assessment (OEHHA) continues to conduct human health studies on the relationship between climate change and environmental justice, and has developed indicators describing the disproportionate impacts of climate change on environmental justice communities. The Climate Justice Working Group (CJWG) developed definitions of key concepts—including climate justice and climate vulnerability—as well as guiding principles and recommendations for California leaders to consider in future development and implementation of climate change adaptation policies and funding decisions. Resources Legacy Fund (RLF) supported the development of this briefing paper so that CJWG’s work can be shared with the public. 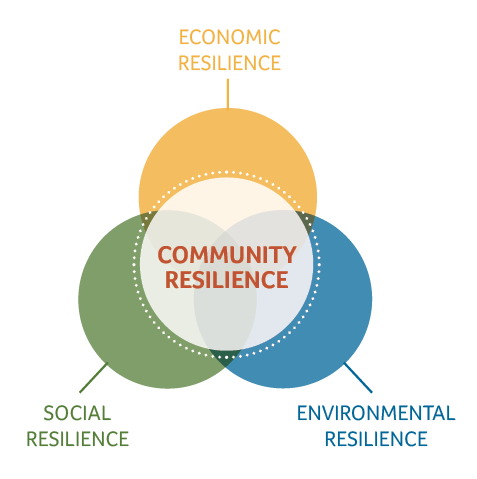 The opportunity for increasing community resilience is in the very process of developing a plan when those who are most impacted are at the heart of society’s efforts to build a resilient future. The following framework 1) advocates deepening democratic practices at the local and regional levels, 2) seeks to put forth the principles and practices defining this emergent field, and 3) outlines resources for community-based institutions implementing community-driven planning processes. Some residents will be hit harder by climate change than others. The following document provides an overview of the major interrelated factors including race, language barriers, age, and living conditions that make community members vulnerable to the impacts of climate change. This report offers a new approach to the equity challenges of climate change by linking actions to combat climate change with broader equity objectives, placing the wellbeing of people and communities at the core of climate action. Building on the findings of 30 case studies in 23 countries it demonstrates how climate policies within countries, including policies directed at both low-carbon energy development and resilience to climate change effects, can simultaneously build the capabilities of individuals and communities. This framework lays out the differences between diversity, equity and inclusion, charts the evolution of diversity campaigns over the decades, and aims to help diversity advocates turn ideals into a concrete tool using the “Four Ws” – who, what, where and why. The Greenlining Institute intends to put together a working group to build on the Framework’s outline and create a toolkit that will help advocates push corporations and other major institutions toward diversity, equity and inclusion policies based on justice. The Greenlining Institute and the National Community Reinvestment Coalition analyzed California home mortgage data and found that the numbers paint “a statistical portrait of gentrification.” The analysis, based on data collected by federal regulators for mortgages issued in 2015, shows a number of other concerning patterns, including continuing racial disparities and a startling rise in the role of non-bank lenders. Researchers reviewed statewide data as well as local statistics for Long Beach, Oakland and Fresno, and make recommendations for policy changes and further research. This report examines the unique challenges facing U.S. Latinos, as well as the tremendous opportunities available if we take climate action. Solutions like ramping up wind and solar energy and increased energy efficiency will help to create well-paid jobs, save money by cutting electric bills, and help safeguard future generations of all Americans from catastrophic climate change. Cushing et al. used an environmental justice screening tool (CalEnviroScreen 1.1) to compare the distribution of environmental hazards and vulnerable populations across California communities. They concluded that environmental health hazards disproportionately burden communities of color in California and that efforts to reduce disparities in pollution burden can use simple screening tools to prioritize areas for action. This report from the UC Davis Center for Regional Change analyzes water inequality in California’s disadvantaged unincorporated communities in detail, and offers several recommendations to inform policy and advocacy on how to improve water access to these communities. As a conversation-starter for deepening work around incorporating intersectionality in equitable adaptation planning, the NAACP’s Environmental and Climate Justice Program has developed a sample list of indicators/measures of vulnerability and resilience in terms of infrastructure, community/population characteristics, systems, policies, programs/services, protocols, and governance/decision making. The indicators span the impacts of climate change including shifts in agricultural yields, sea level rise, and extreme weather. The Native Nations Climate Adaptation Program at the University of Arizona works with Native American tribes and indigenous populations in the western United States to solve environmental and climate change issues. They have compiled the following nonexhaustive list of tribal nations with existing climate change adaptation plans. This report highlights a partnership between Communities for a Better Environment, the Liberty Hill Foundation and a university-based research team (Los Angeles Collaborative for Environmental Health and Justice) – that contributed to turning California into an epicenter of the environmental justice movement over the past several years and helped add to the momentum for major policy reform. CalEnviroScreen is a screening tool used to help identify communities disproportionately burdened by multiple sources of pollution and with population characteristics that make them more sensitive to pollution. This “toolkit” is a collection of templates and other resources developed by the Institute for Tribal Environmental Professionals (ITEP) to assist tribes in their climate change adaptation planning process. The materials provided are not “one-size-fits-all” solutions, and users are encouraged to modify the materials to better represent the needs and priorities of their own tribe. The primary users of these materials will be the tribe’s climate change working group. The RCI equity checklist is designed to help funders and implementing agencies to account for equity in their work by identifying vulnerable populations, understanding the equity implications of their proposed work, and ensuring collaboration with community groups. Sustainability efforts are already making important contributions through energy efficiency, sustainable economic development, alternative transportation, equity and more. This Toolkit is designed to get you thinking about how these fit in the broader context of consumption and where you can take action on other equally important aspects: food, housing, and consumer goods.